3.5-gallon pail for Lithium Ion (rechargeable) and Lithium Metal batteries (non-rechargeable) batteries is used for disposal of intact batteries as described below. Maximum gross weight of bucket is 50 pounds. Damaged cells/batteries are not accepted. 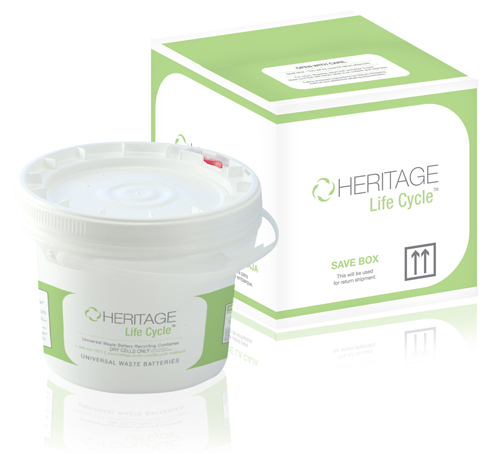 Kit includes locking pail, liner, instructions, shipping to your facility and prepaid return shipping and recycling. 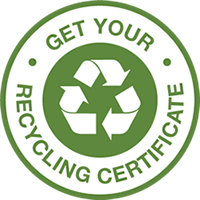 A certificate of proper management will be issued to the email address on the order, once the material has been received and processed.